Live your WATERFRONT DREAM in the gated Villages of BayPort! Protected waterfront home featuring 4/5 bedrooms 3 baths office (can be fifth bedroom situated privately & next to a full bath!) 2 car garage sparkling pool and almost 2600 sf this perfectly maintained home is truly move-in ready. Elegantly updated this waterfront jewel is open and light. Family room offers lovely cathedral ceiling & fireplace wall while the kitchen has been renovated with stainless steel appliances granite countertops 2 breakfast bars and custom cabinetry. Beautifully designed large breakfast area with Bay Windows overlooks the pool and waterfront beyond. New impact resistant sliding doors off of breakfast nook lead to the lanai. The living room dining room family room and luxurious downstairs master suite all enjoy exquisite solid light oak 16 foot plank wood floors (over $40K invested in the wood floors alone- not a mark on them!) All baths have been renovated & even the laundry whispers elegance with a marble floor. With a two year new dock and decking area newer roof new master bath cabinetry and granite this entertainerâs delight does not disappoint! 10 minutes to TIA & the Westshore Business District this home is perfectly situated in Tampa & only 15 minutes from Pinellas County and the wonderful beaches there. 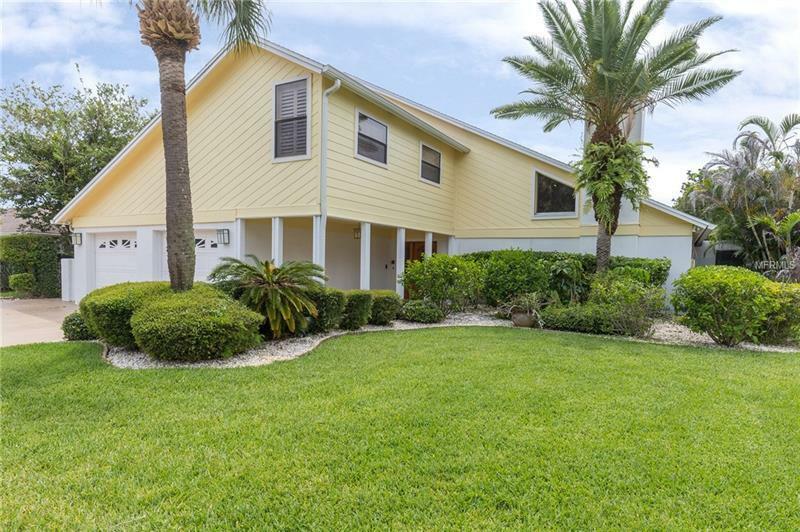 Just 15-20 minutes away from the major hospitals come see why The Villages of BayPort attracts the best boats in Tampa- a 34â Wellcraft Express Cruiser calls this property home! Additional Water Information: Bay Port Colony is a development built upon Spring fed lakes and canals with a lift directly into Tampa Bay.